November 30, 2012, Toronto: Canopy is pleased to congratulate winners of this year’s Canadian Printing Awards. Prairie Pulp and Paper and Friesens are two recipients who have been leading the way on meaningful action to protect the world’s forests, climate and species, by supporting market development of agricultural wheat straw based papers. Friesens, one of Canada’s leading book printers, received a Bronze for the Most Environmentally Progressive Printing Project for the printing of Margaret Atwood’s special edition In Other World’s on wheat, flax and recycled content paper. This project was spearheaded by Canopy and also brought together Margaret Atwood, McClelland & Stewart, Cascades Fine Paper and Alberta Innovates Technology Futures. Friesens was a critical link in the project providing testing of the paper on both digital and offset presses and printing the special edition. Prairie Pulp and Paper was also recognized for their leadership on leftover straw paper receiving a Gold for the Most Environmentally Progressive Printing Technology and a Bronze as the Most Environmentally Progressive Vendor. Prairie Pulp and Paper is currently importing their Step ForwardTM Paper with distribution by Unisource Canada. It is available in over 335 Staples stores and online. Canopy is excited to be partnering on the launch of this paper to support the building of a state-­‐of-­‐the-­‐art facility the company is planning to build here at home. The Canadian Printing Awards, held last night, November 29th in Toronto, are presented by PrintAction Magazine and aim to recognize excellence in quality printing, environmental initiatives and industry contribution. About Canopy: Canopy is a not-­‐for-­‐profit conservation organisation dedicated to protecting the world’s forests, species and climate. We believe collaboration is the key to success, and we understand that business leaders can be powerful forces for environmental change. We are North American leaders when it comes to forging effective corporate-­‐ENGO partnerships. We work with Sprint, Scholastic, Random House, The New York Times, Hearst, TIME, and more than 700 other of the forest industry’s biggest customers to develop purchasing policies, strategies and solutions that meet their business goals and protect the world’s forests. 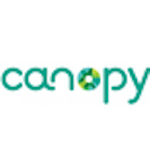 Learn more at canopyplanet.org, twitter.com/canopyplanet, and facebook.com/canopyplanet.